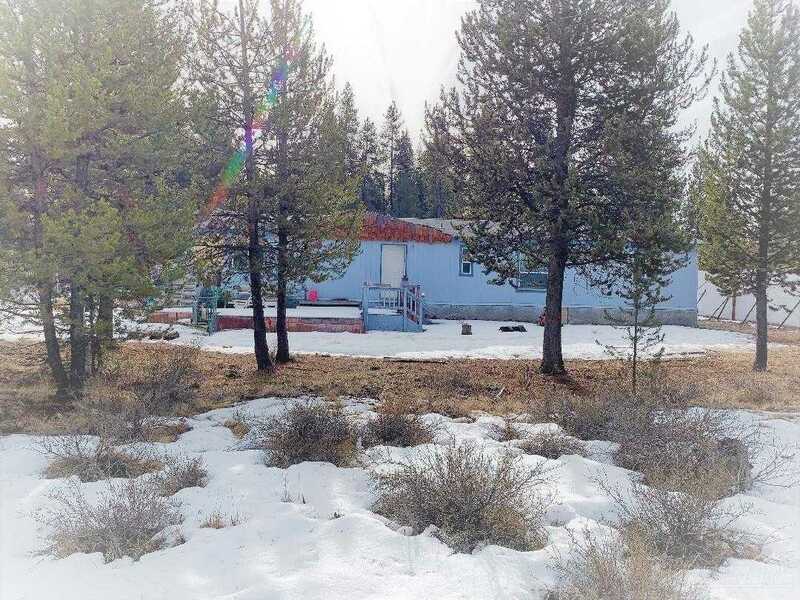 This 3bd/2ba home backs up to BLM and is located on a paved road. You can enjoy hiking, taking walks and trail riding right from your back door. Home is 1622 sq. ft. with an open kitchen, & spacious living room. Has great potential so don’t pass this one up. Please, send me more information on this property: MLS# 201900636 – $259,900 – 15820 Burgess, La Pine, OR 97739. Listing courtesy of Dennis Haniford’s Cascade Realty. The content relating to real estate for sale on this website comes in part from the MLS of Central Oregon. Real estate listings held by other Brokerages are marked with the Reprocity logo, and detailed information about these properties includes the name of the listing Brokerage. Copyright MLS of Central Oregon (MLSCO). Some properties which appear for sale on this website may subsequently have sold or may no longer be available. All information provided is deemed reliable but is not guaranteed and should be independently verified. All content displayed on this website is restricted to personal, non-commercial use, and only for ascertaining information regarding real property for sale. The consumer will not copy, retransmit nor redistribute any of the content from this website. The consumer is reminded that all listing content provided by automatic transmission by MLSCO is copyright of Multiple Listing of Central Oregon (MLSCO). The above information deemed reliable but not guaranteed. Data courtesy of COAR. This content last Updated April 25, 2019. Some properties which appear for sale on this website may subsequently have sold or may no longer be available. Data courtesy of COAR. Last Updated April 25, 2019.